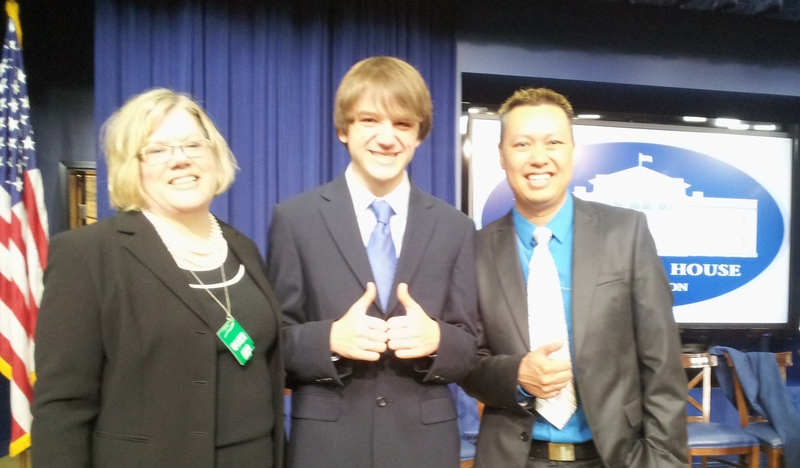 This past Thursday (June 20th, 2013) Colin and I were honored when @jackandraka invited us to see him and twelve other Leaders receive the White House Open Sciences “Champions of Change.” Colin and I have posted some Tweets during this once in a lifetime event and I’ll also post a visual transcript of this remarkable day. Jack was very eloquent on the panel. He spoke about his breakthrough innovation and how important open sharing of scientific information is to new discoveries. Jack’s story of running into paywalls elicited was quite poignant and many in the audience showed support of Jack’s crusade for #openaccess. We want to extend our special thanks to Jack for sharing this honor with both Colin and I and the entire Healthcare Leader Community.